After more than a decade as a local organization participating in the effort to keep Mt. Emmons mine-free, the Red Lady Coalition is disbanding as a corporation. The board voted to dissolve the 501(c)3 non-profit organization but board chairman Bill Ronai said the board members are still very committed to staying involved in the outcome of the Mt. Emmons mine situation and will work as a more informal group of concerned citizens to see if a solution can be completed. 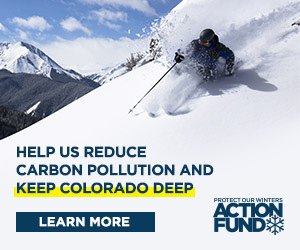 Ronai said the two primary goals of the members remain to protect the upper valley’s watershed through modernizing the decades-old water treatment plant and ultimately to get a congressional withdrawal of mineral rights on the approximately 6,000 acres of unpatented mining claims surrounding Mt. Emmons. One avenue to modernize the aging water treatment plant is to support an idea put forth by mine owner Freeport McMoRan to privatize a small portion of the Forest Service land on which the plant sits. Freeport is willing to keep operating the plant and be monitored subject to a comprehensive contractual agreement. Ronai said the board of the coalition supports the privatization idea as a part of a total solution. As for the end of the Red Lady Coalition organization, the website has been taken down, the Facebook page is dormant and the net distributable cash has been donated to the Coal Creek Watershed Coalition.